Contact: This site is privately owned and operated by the Fadden family. It is open to the public July 1 through Labor Day, closed Mondays. Call ahead for times or for group tours. A modest admission fee is charged. 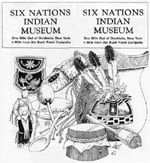 Click here to add your own memory of Six Nations Indian Museum to our guestbook. It’s hard to find but worth the trip. A few miles from the hamlet of Onchiota which is a few miles from Route 30 in Gabriels, a simple rectangular building right next to the road is the home of one of the finest collections of Iroquois artifacts and contemporary Mohawk artwork to be found anywhere. 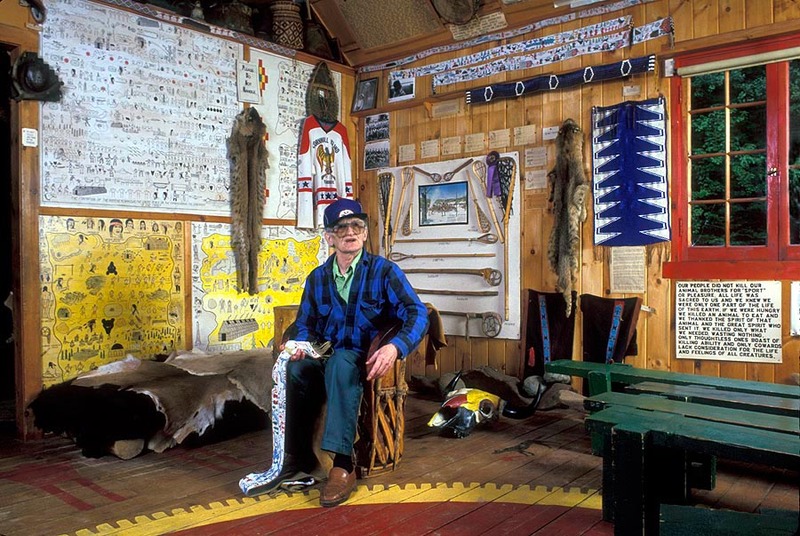 Created by Ray Fadden, a committed teacher and student of Iroquois culture, on his family property, the building is deceptive, for it actually is a replica of a typical longhouse, the community religious and social center of Mohawk traditions. Mr. Fadden and his wife Christine, their son John and wife Eva and their sons have maintained this private, family-owned-and operated museum since its founding. Inside the museum you will see a variety of baskets, headdresses, garments, pottery, silver work, and amazing beadwork. Most important, you will have an opportunity for a personal interpretive tour of the whole museum, including interesting woodlands exhibits adjacent to the main building, given by John or some other family member.